Recently the Museum Studies class taught by Dr. Sara Orel took an afternoon trip to visit the General John J. Pershing Boyhood Home State Historical Site. 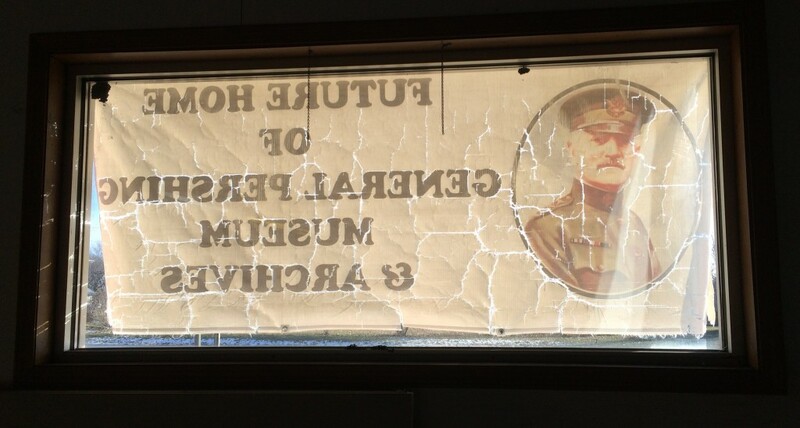 General Pershing is an alumnus of Truman, then the Missouri State Normal School, which he attended for two years before leaving for West Point. While at the museum, students had an opportunity to view a variety of types of display settings, from the historic home itself, set up to look as it would have in the 1870s and 80s, a small schoolhouse that serves as the primary display space for the museum’s collection of objects, and the new museum building, which is in the process of renovation and will provide a much-expanded space for both permanent and changing exhibits. 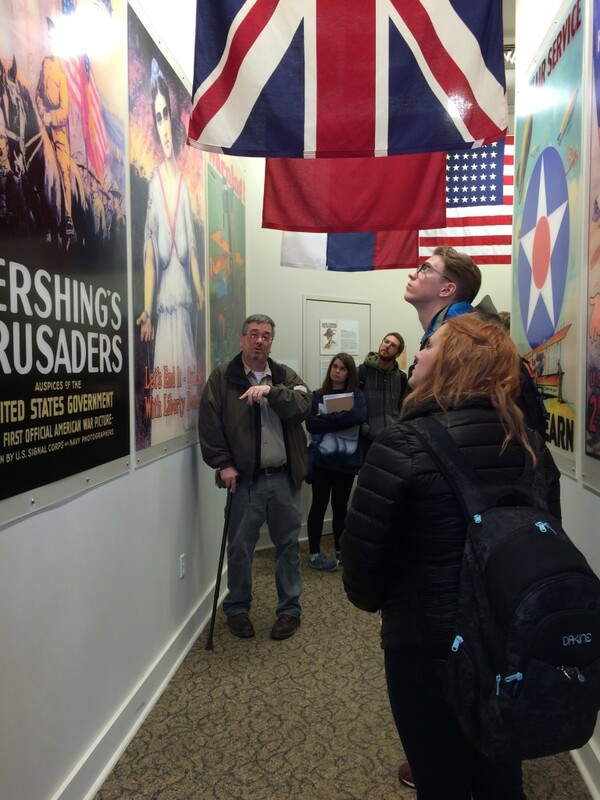 Denzil Heaney, Administrator and Curator of the General John J. Pershing Boyhood Home State Historic Site in Lacelede, Missouri, discusses the array of World War I poster images on display in one of the exhibition spaces at the site. Truman students shown are Rachel Pozzo, Anthony LaMarche, Luke Edwards, and Victoria Loos. 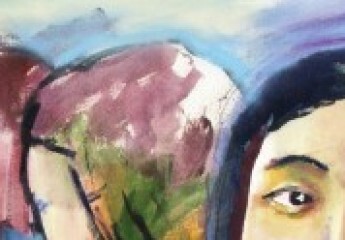 The host for the visit was Denzil Heaney, administrator and curator of the site. His enthusiasm and flair for storytelling and the importance of the site were quite inspiring for the students, who subsequently prepared exhibition proposals to take advantage of the new museum space. There are exciting opportunities for Truman collaboration with the Pershing Historic Site, a state park that attracts thousands of visitors from around the world every year. The current interest in the centenary of the Great War means the number of visitors will only continue to increase. Truman’s quickly-growing Museum Studies program, still informally structured but with a strong track record of graduate school and job placement, provides internships across the state of Missouri which are available to students of all majors, including Art History, Studio Art, and Visual Communications, but also students in fields including Anthropology, History, Communication, Biology, Chemistry, and many others.. If you are interested in pursuing an interdisciplinary program in Museum Studies at Truman, contact Dr. Sara E. Orel (orel@truman.edu) for more information. The view from inside the building that will serve as the new General Pershing Museum in Laclede, Missouri.